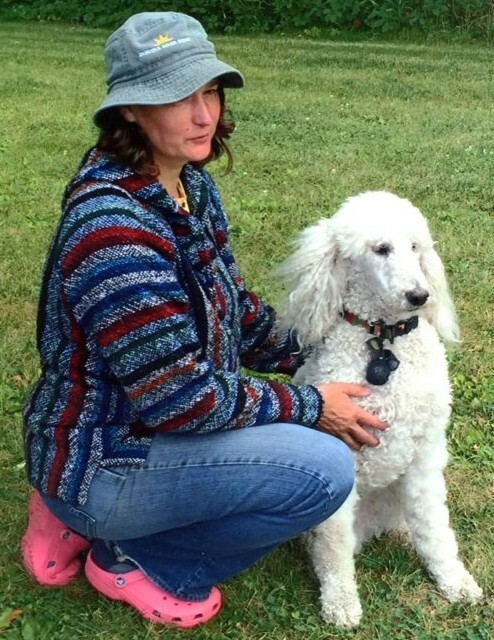 Ruth Oldson, age 55 years, of Kewaskum was called home to be with the Lord on April 3, 2019 at home surrounded by her loving family. Ruth was born on November 14, 1963 in Grand Rapids, Michigan to Dean and Frances Oldson (Zuidersma). Ruth loved animals, children and the outdoors. She was a well respected teacher at Craig Montessori school in Milwaukee, teaching 7th and 8th grade math and science. Befitting a math teacher, her last day teaching was on pi day (3.14) Over the years Ruth cared for more animals than can be listed here, but particularly loved her many dogs and riding her horse. Ruth also enjoyed being outdoors, especially gardening, camping, hiking and attending Renaissance Faires. Those Ruth leaves behind to cherish her memory include her parents, Dean and Frances Oldson, her two brothers, David (Mary) Oldson and Paul Oldson; one niece, Erin Oldson; one nephew, Noah Oldson and canine companion, Gandolf. Further survived by aunts, uncles, other relatives and friends. Memorial Service for Ruth will be held at 11:00 am on Saturday, April 27, 2019 at Kettle Moraine Bible Church (204 S 7th Avenue – West Bend, WI 53095). Ruth’s family will greet relatives and friends after the service during a lunch reception at the church. In memory of Ruth, donations to Northern Grace Youth Camp or Washington County Humane Society appreciated. Ruth’s family extends their heartfelt appreciation to the staff at Heartland Hospice for the loving care they provided. The Myrhum Patten Miller & Kietzer Funeral Home of West Bend has been entrusted with Ruth’s arrangements. Additional information and guest book may be found at www.myrhum-patten.com.